Home » business news » Black money: Will Modi government provide security in exchange for details to HSBC whistleblower Herve Falciani? 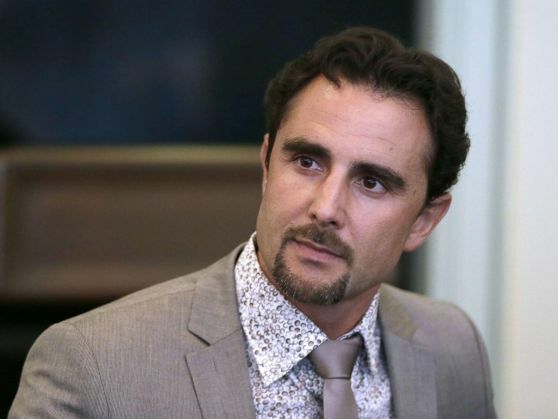 Claiming that a lot of information on illicit funds is lying unused by the Indian authorities, HSBC whistleblower Herve Falciani said on Tuesday that he is willing to cooperate with the investigative agencies in their black money probe but would need protection in return. He also claimed that millions of crores worth illicit funds are flowing out of India. Falciani is facing charges in Switzerland of leaking details of bank account holders in Geneva branch of HSBC -- a list which later reached French government and subsequently was shared with India as it had accounts of those Indians who had stashed funds abroad. "We are not here to talk about merely figures but about possible solutions," Falciani said, adding that "lot of information that has not been used by the Indian authorities". Addressing media persons here through Skype link, Falciani said money was not the driving force for sharing classified data on black money and other suspect accounts. "It is not about money. I don't intend to become rich," Falciani said when asked whether he is looking for money to share information with India. He, however, did not give a clear answer on whether he has any more information on Indians who have stashed illicit funds abroad. He stressed governments across the globe should ensure that whistleblowers are protected. "We need just simple protection," ..
"We are not protected... If I am coming to India, I will be arrested," he said, adding that people need to understand that there are not many new ways to probe and combat the menace of black money. He has been refusing to attend proceedings against him in Switzerland as well. Earlier this year, he had hinted that he possessed additional information on the lines of the list of 628 Indian entities holding accounts with the bank in Geneva. Will the Indian government respond? The Finance Ministry in February this year had said the IT department was already in touch with Falciani, "who apparently brought out the names of persons holding undisclosed bank accounts in HSBC, Switzerland." "He has been requested to share information available with him in respect of undisclosed bank accounts of Indians in HSBC, Switzerland, and other destinations. His response is awaited," it had said. Falciani said that whistleblowers are not protected and their services are not being utilised properly which is why they are turning to NGOs to bring out their work in public interest. His media interaction through Skype link was organised by 'Swaraj Abhiyan' leaders Prashant Bhushan and Yogendra Yadav. The two leaders also furnished a letter written by Falciani to Justice (retd) M B Shah who is heading the Special Investigation Team (SIT) on black money. In the letter dated August 21, 2015, Falciani said that in the last few months, "I have not been able to find any way to proceed on the India situation, which is why I am turning towards you". "We must understand it is not easy to achieve results in this situation given its international scale and the fact that we are confronting parties with the support of important financial and political interests. "Everything will be done to make the investigation lead to nothing or not much. When it comes to offshore banking, international laws and experience come into play. Therefore more effort would be required to move forward for bigger results," the letter had said. Government last month said as many as 132 prosecution in 43 cases out of the HSBC Swiss list have been filed by the tax department. Recently, the SIT also filed its fourth probe report to the Supreme Court in a sealed cover. Falciani along with Bhushan said that the then SIT Advisor K V Chowdary had met him in Paris in December, 2014, with regard to seeking assistance in India's black money probe. "Falciani pointed out the need to have Indian investigators joining in and continuing the investigation with other countries, rather than work with data alone to get limited results as has been the case thus far. This is the only way that the missing links can be found between Indian and foreign banks," Bhushan claimed. According to Falciani's letter, there is an urgent need to focus on unravelling the role of financial intermediaries and the investigation must not be restricted to interrogating clients just to find out how much they have in accounts but also how they proceeded. "If this is not done, status quo will prevail as far as the black money problem in India is concerned," he added. Meanwhile, with reference to the Falciani issue, activist-lawyer Prashant Bhushan today announced that a 'Citizens's Forum For Whistleblowers Protection' would be set up soon with eminent personalities on board. He also lashed out at the Centre for not yet notifying the Whistleblowers Act and instead trying to dilute the provisions of legislation. Attacking the Centre for not being "serious" about the black money issue, Bhushan said the government is yet to fully implement the recommendations of the SIT. "The benevolent law on black money has not yielded results as only less than 1 per cent of the total estimated illicit money stashed abroad have been recovered," Bhushan said. He noted that there is no interest among the Indian authorities to track down financial intermediaries and modus operandi. Bhushan asked why the government has not implemented SIT's recommendation for "doing away with anonymity" about the end beneficiaries of participatory notes, a major source of investments in the country. "Why did the Government of India not act according to the advice of the HSBC whistleblower (Falciani) who tracked down intermediaries and the mechanism of money laundering so as to get maximum information and funds out of its investigation," Bhushan wondered. Bhushan also said he has written a letter to the SIT about alleged financial irregularities worth Rs 10,000 crore in two business houses but no action has ben seen by him in this regard.